Download this image, then print, sign, and fold it to create your very own Xbox thank you card. I just wanted to say thank you. For the hundreds of packages and thousands of padded envelopes you deal with every week. For being a welcome knock on the door – even when it’s 8AM on a Saturday. 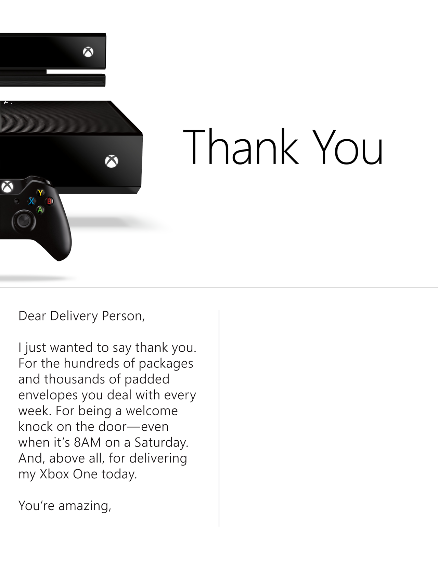 And, above all, for delivering my Xbox One today.